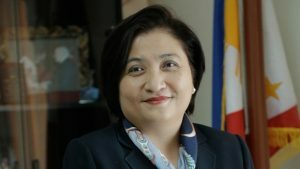 A senior Philippines foreign ministry official has been in Tripoli to discuss the status of her nationals still working in Libya despite their government’s repeated warnings to get out. The majority of Filipino expatriates is working in the health service. It was not surprising therefore that Ms Hjayceelyn Quintana, Manilla’s Foreign Affairs Assistant Secretary for the Middle East and African Affairs, yesterday visited the Government of National Accord’s health ministry. Her talks there were with Omar Al-Ashehab, the director of International Cooperation. No details of their discussion were made public but it is likely that Ashehab will have pointed out the important role that Filipino medical staff play in clinics and hospitals. As security has deteriorated, more Philippines’ nationals have decided to heed their government’s warnings and leave Libya. This has increased the burden on a health service that is already close to collapse, with a lack of trained nurses, doctors and medical technicians. It is almost certain that Quintana sought assurances about the protection of her remaining countrymen while Ashehab tried to give them. The diplomat also had a meeting at the State Council with its second deputy president Mohamed Emmazib. It has not been reported if Quintana also had any talks with any members of the Presidency Council, for instance health minister-designate Omar Al-Taher.